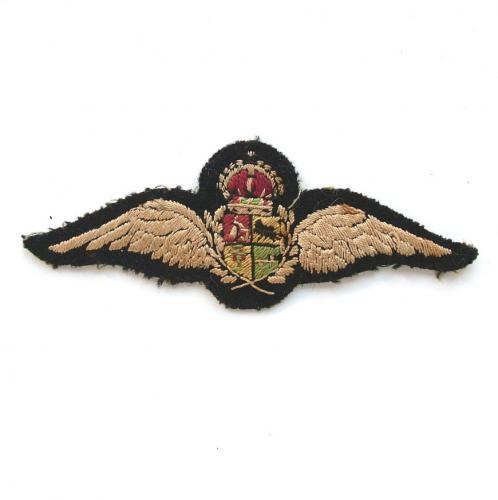 Relatively scarce South African Air Force pilot wing. Flat wing in silky thread on black felt. Cotton backing. Shows use and has light soiling but in very good used condition overall. Stock code U21825.